I came across this one a few days ago. 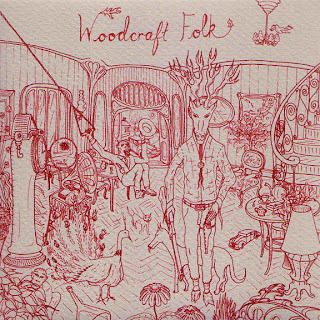 Woodcraft Folk is a London-based duo who bring their own take on folk music. This is folk with electronica foundations. Their aurally focused arrangements and melodies are incredibly comforting and hooked me immediately. There are many individual moments that will remind you of something else you have heard (Múm, The Books, and Broadcast are a few that came to my mind), but the duo manages to maintain their own individuality. This 2005 album would serve as a wonderful soundtrack to some coming-of-age indie flick, or just a wonderful soundtrack for your next leasurely stroll.